How to Style an Interior Like a Glossy Cover Shoot! 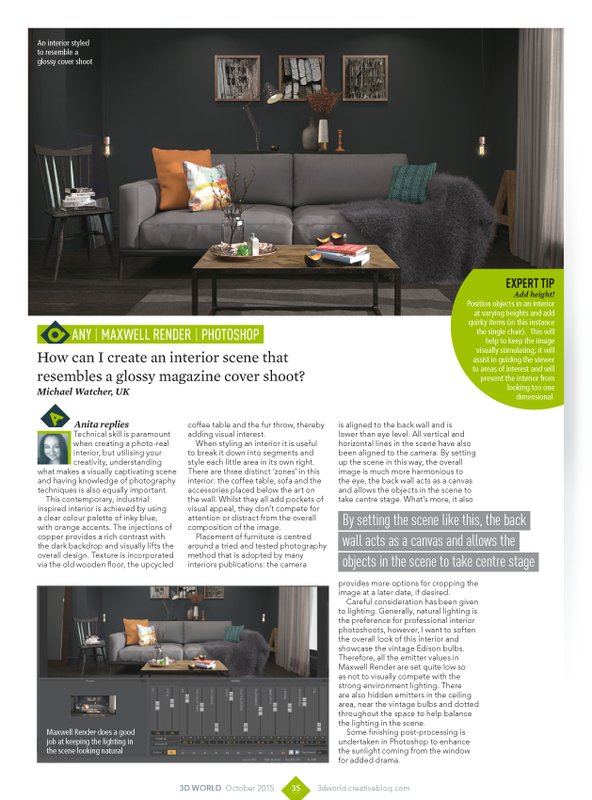 I recently had another article published in 3D World Magazine where I provided my top tips on creating an interior scene that resembles a glossy cover shoot. This article may have been published in a magazine for the 3D industry but whether you are a 3D Artist, an Interior Designer, or a budding Interiors Stylist, this article should be useful. 3D Artists need to know how to set up an interior scene to present the interior at its most visually captivating, as do Interior Designers, when they are taking shots of completed design schemes for their portfolio, especially if it’s being published on their website. The interior below is a photo-real 3D visual that I designed. There were two reasons why I created this scene: I wanted to design an uber contemporary, industrial inspired space AND I wanted it to resemble the front cover of an interiors magazine. Admittedly, the design itself and the set up was more time consuming than I initially thought but I definitely think it was a worthwhile exercise! Contractually speaking, I don’t think I’d be permitted to rehash all of my article onto this blog post, so I’ve uploaded the actual article for my followers/readers to peruse. However, due to the ‘expert tip’ being smaller in font size, I’ve quoted it for ease of reference. Position objects in an interior at varying heights and add quirky items (in this instance the single chair). This will help to keep the image visually stimulating, it will assist in guiding the viewer to areas of interest and will prevent the interior from looking too one dimensional. There are loads of tips including zoning and the positioning of the camera. All of these elements are taken into consideration by leading interiors magazines when snapping those enticing cover images and there’s no reason why YOU can’t do the same! 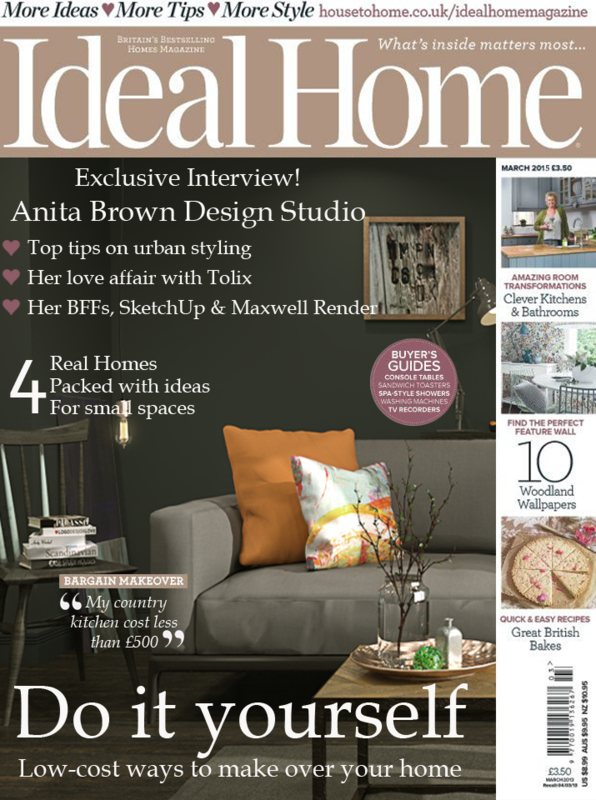 If you’d like to learn more about the design rationale for this interior, click here and to prove my point about how close this scene resembles a cover shoot, I’ve created a fictitious Ideal Home magazine cover. If you have any tips that you’d like to share, feel free to drop a comment below! Interesting. I would like to learn more about this 3D visualization for Interior Design Photography. Hi Joyce, thanks for your comment. There are lots of online resources these days that provide assistance/reviews/tutorials for 3D software. You should check ’em out!